Boasting some of the best preserved village cores in Malta, the Three Villages are an ideal choice for short or long-term property rental. With close to 70 localities in the Maltese Islands, you are spoilt for choice when choosing a place to call home. Despite the fact that some of these places are relatively small, each locality has characteristic qualities that distinguishes it from its neighbours. Lija, Balzan and Attard, collectively known as the ‘Three Villages’, are a trio of settlements located in the centre of the island of Malta. With classical Baroque architecture and some of the country’s most lavish and historical townhouses, it is no wonder that they are one of the most sought after areas in the property rental market. Lija has been identified as one of the earliest settlements in Malta, with Megalithic tombs being unearthed in 1967. Officially established as a Parish in the late 16th Century, this village contains several ornate townhouses and palazzos built by noble families over 400 years ago. With just under 2,500 residents, the population of Lija has expanded through the construction of new houses and apartments in the periphery of the village. One of the key features of this locality is Transfiguration Avenue, a gorgeous boulevard lined with tasteful villas and Oleander trees that connects the spacious village square to neighbouring areas. Interested clients may also find the strong community ties in Lija highly appealing, as it makes this village a warm and quiet environment that is ideal for both a short or long stay. Furthermore, if you are lucky enough to be renting a property in Lija during the month of August, you can experience the annual feast of Jesus Christ the Saviour. The local community invests a lot of effort into embellishing the village with traditional feast decorations, leading up to the Lija Fireworks Show that is hailed as one of the best pyrotechnic displays in Malta. 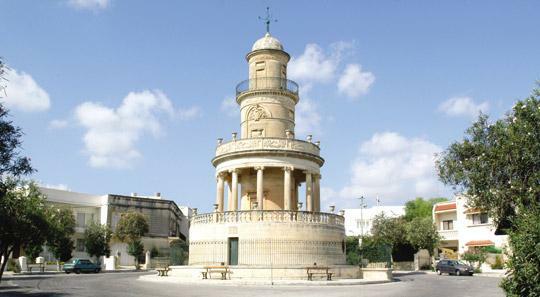 Balzan is the smallest of the Three Villages at less than a square kilometre in area. Even though Balzan also contains several historic Maltese dwellings, it is distinguished by tastefully built modern houses and apartments that have sprawled out of the village core. The appeal of Balzan lies in the many services and features that lie within its zone. With several wine bars, restaurants and pubs, this locality is ideally suited for individuals who like to explore their local area. It is therefore quite unsurprising that property rental in Balzan is on the rise, with key locations including the famous Aqueduct, a limestone viaduct constructed by Grandmaster Wignacourt in the 17th Century to transport water from the north of Malta to Valletta. The village of Attard is by far the biggest of the three, with its total area being larger than Lija and Balzan combined. While the village core of Attard is relatively small and still intact, there has been considerable development on its fringes. However, this modernisation of Attard has created very appealing suburban areas that offer an perfect respite for those interested in renting a property in central Malta. Due to its size and a population of over 10,000, Attard offers better amenities when compared to Lija and Balzan, making it an ideal choice for couples and families. These include cafes, supermarkets, fitness and health centres, a family park and the San Anton Palace gardens. The Three Villages of Malta have a lot to offer for would-be tenants. Irrespective of which of the three you decide to choose, their close proximity to each other makes them equally and easily accessible. So if your choice is quiet Lija, you can easily head over to Attard for a casual wander through its parks and finish off your evening with dinner in Balzan!